The City of Noblesville has been selected by BorgWarner as the site of a new technical center focused on propulsion system solutions for combustion, hybrid and electric vehicles. The facility will be built at the southeast corner of 141st Street and Olio Road along the I-69 corridor pending the approval of a development agreement that will come before the Noblesville Common Council on Tuesday, May 9. BorgWarner, based in Auburn Hills, Mich., will consolidate its Central Indiana operations that are currently performed in two separate facilities by combining research and development, testing, prototype building, engineering and design work. 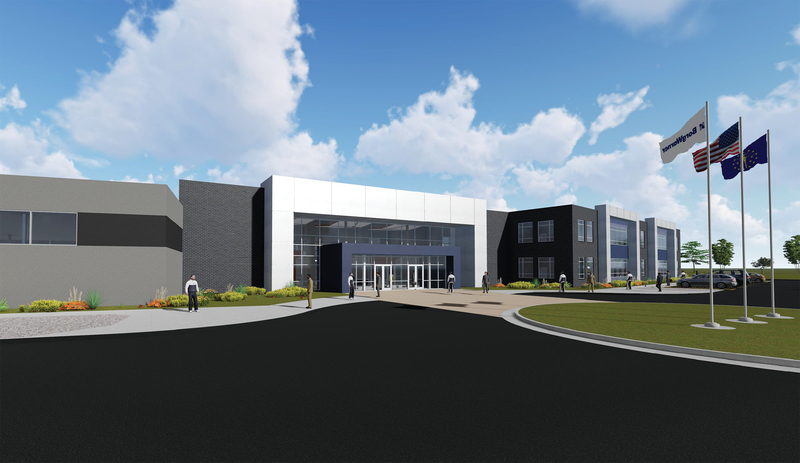 As part of the agreement with the City of Noblesville, BorgWarner will begin construction on the $15 million, 100,000-square-foot, two-story building in June for an expected opening in 2018. The company plans to purchase $13 million in new personal property, such as machinery and lap equipment, to be installed within five years. If approved, BorgWarner will receive up to $3.8 million toward its costs of the approximately $28 million investment for land acquisition, construction and equipment costs to be incurred by the company. In addition, the city will reimburse the company for $309,000 in road and sewer impact fees. To serve the project, the city will make improvements to 141st Street, build a private road south from 141st, extend sanitary sewer and storm water improvements, and construct a detention pond. The city will be issuing a bond to fund these costs. And then the additional real and personal property taxes generated from the project will substantially fund all of the payments to repay the bond.